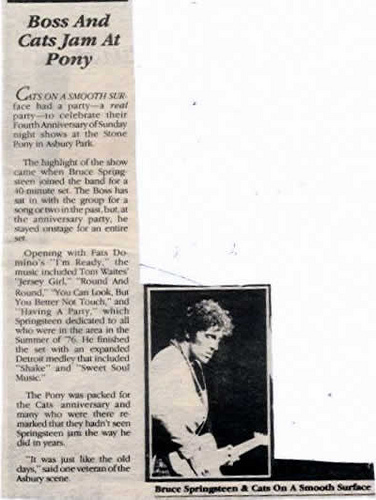 Bruce covered the song 9 times, always off- tour and always together with Cats On A Smooth Surface. 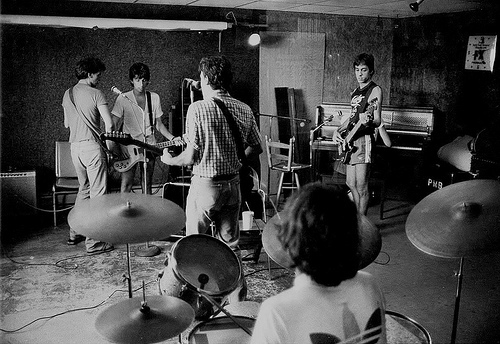 Full E Street Band except Nils Lofgren, and some of Cats on a Smooth Surface. 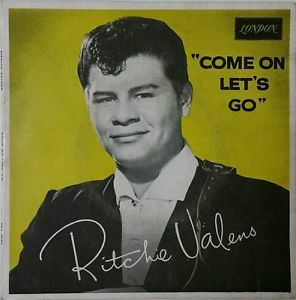 Come on, Let's Go, is a song first recored by Richie Valens and taken from the album Ritchie Valens (album). Ritchie Valens is the first album by Ritchie Valens, posthumously released by Del-Fi Records in March 1959, one month after his death in a plane crash. It is his only studio album entirely composed of master tracks recorded at Gold Star Studios. The album peaked at #23 on the Billboard album chart. The original pressings are black and sea green with circles around the outer edge. The print font for the track listings on these labels is the same font used on the back of the album cover. Later pressings feature black labels with gold and sea green diamonds around the outer edge. The album has been reissued over the years, featuring different album covers.